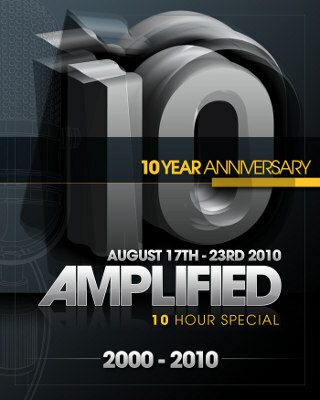 Amplified Radio will be celebrating its 10 year anniversary this Saturday with a special 10 hour show. Tune in as host DJ Ampz counts down the best tracks of each year from 2000-2009 in the trance, progressive, techno, and house genres. The special 10 hour show will start at Amp Radio's normal time of 5:00 PM Eastern / 2:00 PM Pacific / 23:00 CET / 10:00 PM UK. 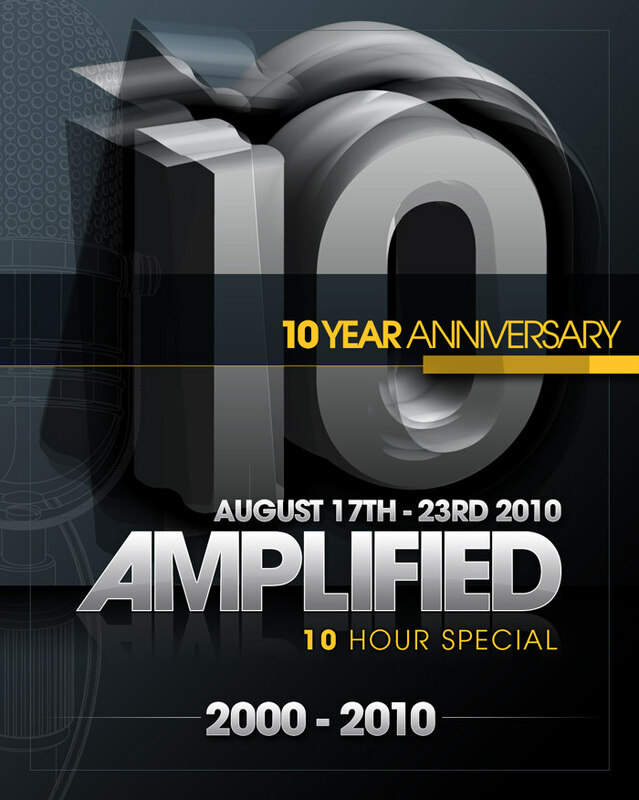 Congrats to DJ Ampz and Amplified Radio for 10 years and over 500 episodes of the show!